NOTE TO INSPIRE STUDENTS: This is no longer the student portal. 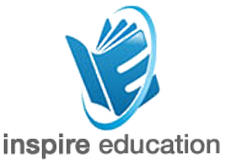 Please go to http://www.inspireeducation.net.au/ and click on the Student Login Area link on the top left hand side of the page to access you NEW student portal. You will need to ensure you are using your new student login details emailed to you, or email student services on studentservices@inspireducation to have them resent.